Dark patches and uneven skin tone might be marring your face and bringing down your spirits. You aren’t alone. Dark skin blemishes are common among women, usually on the elbows, knees, and neck. You may also find them in the underarm area, under breasts, at the folds of arms and legs, and on the inner thighs. We often feel embarassed by these patches and avoid clothes that expose them. 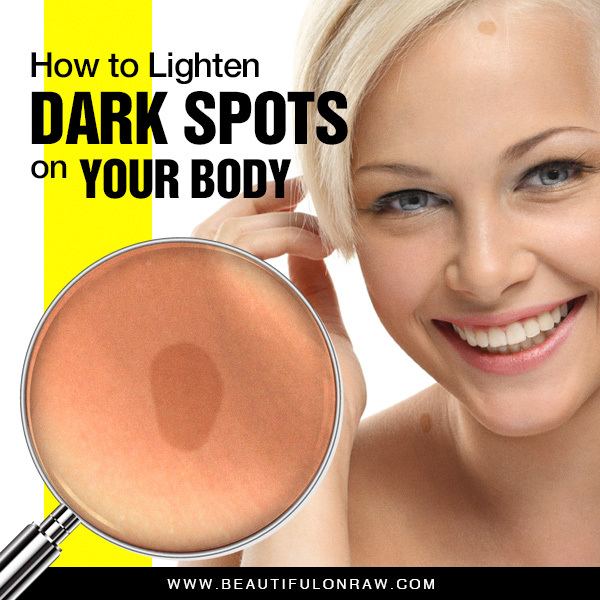 But so long as we concern ourselves with covering up, we’re missing the most important thing to know about these dark blemishes: They’re easy to get rid of. Prolonged sun exposure can cause patches on the skin, especially in the most commonly exposed places—the face, hands, and legs. Even short exposure to UV rays can do damage. Acne scars can cause darkening. Hormonal changes during pregnancy also lead to post-pregnancy uneven skin tone. Regular intake of birth control pills appears to leads to similar marks as well. Hygiene counts. A buildup of dead cells at one spot over time can result in darkened marks. Elbows and knees get affected most because they attract more dirt than other body parts. They also have fewer oil glands and thus remain drier and darker. Similarly, the neck remains in constant contact with sweat and easily develops these dark patches. Freckles are inherited dark spots. These are also the most stubborn and difficult to treat. Plenty of commercial ointments are available to lighten your skin tone. The most common are bleach-based lightening creams. Chemical peels are also popular. But they come with their share of side effects—persistent redness, scarring, and excessive lightening. Ointments and peels are ultimately chemical-based and in the long run do more harm than good. If you live a busy life and taking thorough care of your entire body isn’t realistic for you right now, then make sure you do just this one thing: exfoliation. Exfoliating the darker body patches daily with a gentle body brush can help you get smooth and even-toned skin in no time. Exfoliation is not merely a cosmetic requirement—it’s a hygiene must. Exfoliation gets rid of accumulated dead cells, opens clogged pores, and promotes tighter and lighter skin. 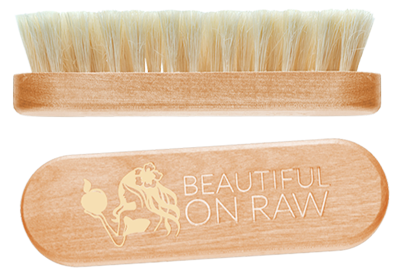 Beautiful On Raw offers two distinct brushes to make your daily exfoliating ritual easy—a body brush and a facial brush. 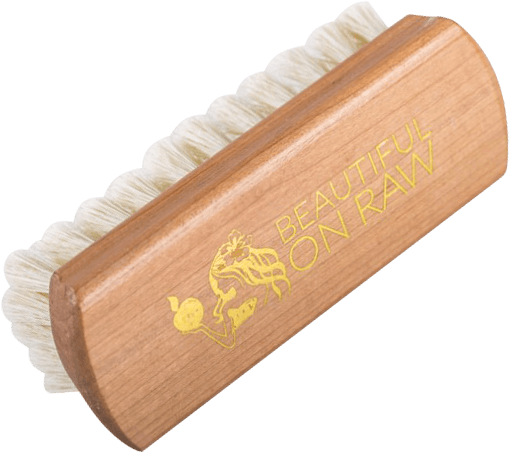 Use the body brush on your elbows and knees. Use the facial brush on more sensitive areas—face, neck, and underarms. You can also try using a good quality loofah or a gentle wash cloth. You can exfoliate with the help of a home scrub—very effective on stubborn body parts like elbows and knees. For this home scrub, mix two parts sugar with one part oil, then simply use this mixture for scrubbing. Be sure to moisturize well after exfoliation. You can use natural oils such as olive oil, coconut oil and almond oil for nourishing your skin. Beyond exfoliation, you can also use various homemade lotions and masks to lighten your skin tone. You’ll easily find all the ingredients right in your pantry. The citric acid in lemon is a natural bleaching agent. Many women use lemon not just on their dark patches but their entire body. Lemon is gentle on the ski, and therefore can be used every day. Cut a lemon in half and simply rub half on the dark patches. Alternatively, squeeze out the lemon’s juice. Soak cotton batting in the juice and rub it on the desired area. Leave the juice on your skin for at least two hours. Wash off with lukewarm water. Pat dry and moisturize with a natural oil. Or take equal parts of lemon juice and honey. Mix them well and apply the lotion thoroughly on the desired area. Let it stay on your skin for half an hour. Wash off and moisturize. Turmeric is a natural antiseptic, wonderful for healthy skin. It can even help your skin defy the aging process. Mix ¼ teaspoon of turmeric with 1 tablespoon of wheat flour (or any flour which is a little coarse, not too fine). Add 1 tablespoon of water and make a thin paste. Rub the paste on the desired area before leaving it on to dry as a mask. Wash off gently and moisturize. In case you notice the turmeric has lent your skin a little yellowish hue, don’t worry. This will fade away in a day or two. 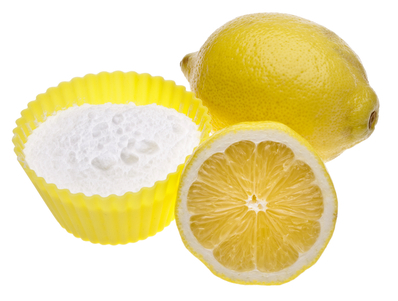 Mix baking soda and lemon juice. Place the paste on the dark areas for five minutes. Exfoliate the area with the paste, then wash if off. Follow with a moisturizer. Mix baking soda with milk to make a paste. Gently massage, then leave for 15 minutes. Wash off and moisturize. 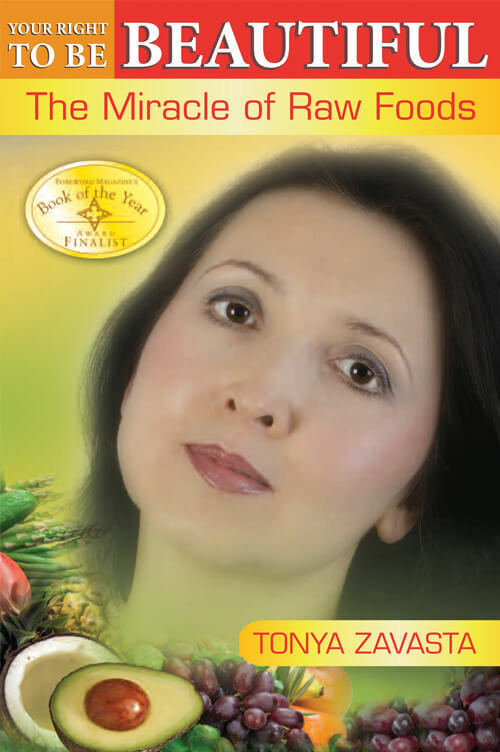 Fruits and veggies are filled with nourishing minerals and oils to help you lighten your skin naturally. Some of these are…cucumber…tomato…potato…onion…garlic…grapes …oranges. Slice or grate—your choice—and rub on your body. Don’t just be depressed or cry about hyperpigmentation. Do something about it. Remember, skin always responds favorably to skincare. Be very diligent and give it at least 3-4 weeks (that is how long it takes for the skin to renew itself) before assessing your results. You’ll be pleased!